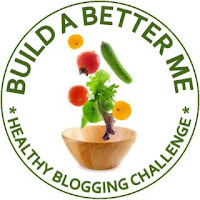 Food Hunter's Guide to Cuisine: Build A Better Me....Training on the Go! Build A Better Me....Training on the Go! In my quest to Build a Better Me I've started training with a co-worker (remember it's always easier to do these things with a friend) 2 mornings a week. One of the things I like best about our sessions is the body weight training. Why? because it doesn't allow for any excuses...once you learn a body weight routine you can do it anywhere, anytime. Below is an article about the benefits of body weight training and a sample routine that you can follow graciously provided by fitness trainer, Tyler Webb. "Tyler Webb graduated from Nebraska Wesleyan University where he got a degree in Health and Fitness studies. He's currently the General Manager/Exercise Physiologist at Life Start Fitness in Phoenix Arizona. Tyler's philosophy on fitness is: "it's not about working out harder; but rather working out smarter" You can follow Tyler on twitter for more fitness tips"
The New Year has come and gone; along with most of our resolutions. One-month into the year and thousands of fitness related resolutions have gone by the way side. We can ask ourselves why, how or what went wrong. Unfortunately, the answer always comes to the same conclusion, ME. Currently, Americans are fighting a never ending battle of too many daily appointments and not enough hours in the day. Most families have obligations taking them from 6 AM to 8 PM with little time for themselves, their family or their friends. Many have problems finding time to cook a healthy meal at home; which can lead to over spending, a higher risk of heart disease and a bigger waist size. What many individuals fail to realize is that the answer to their health and fitness woes is right under their nose, Themselves! Body Weight training has become increasingly popular with our ever revolving work schedules, kids, activities, etc. Body weight training allows for a demanding and efficient workout in a short amount of time, while utilizing minimal to no equipment and allowing for a workout anywhere at any given time. The benefits from body weight training emphasize all aspects of health and fitness. Individuals will see strength and cardiovascular endurance increase, while weight and pants sizes decrease. All of this is possible in as little as 30 minutes a day. Still wondering where to start? Give this great body weight workout a try. Well said! Besides the health benefits, daily exercise allows me to eat (nearly) guilt-free the rest of the day. I love a great workout that does not require a trip to the gym. Thank you for the great information. I weight train at least twice a week and could definitely add this to my routine! I love that I could do it at home! I love that this is something I could do when I'm on the road. I'm not sure what a Burpee is, though!